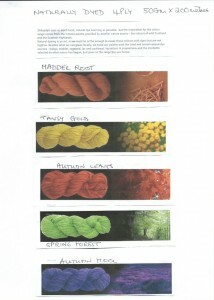 Getting ready for this event on October, lots of skein winding of hand dyed wools. 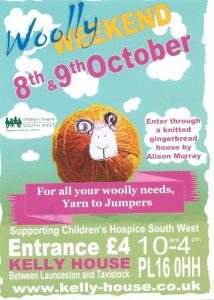 AT the Liskeard Public Hall ,Its only for 4 hours and we have exhibitors coming from the West Country and beyond, so lots to see and buy. 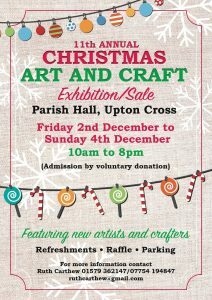 Why not come and visit , lots of very talented people will be there with a great variety of craft and art work. 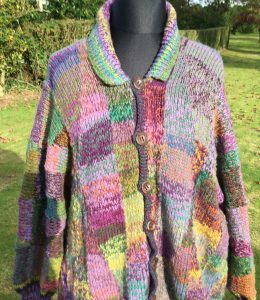 I will be there with my wools, garments, bags, hand dyed fleece for spinning and felt making and of course my spinning wheel. 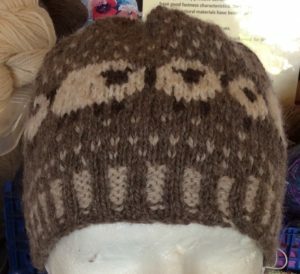 Getting prepared for the show , this year in new village hall only as school having repair work done.Hope for good weather as several of us will be doing demonstrations of different crafts outside in the updated playing field which has some covered areas. 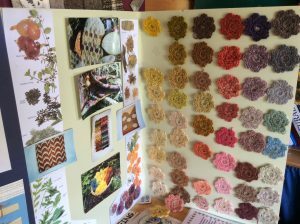 Lots of excellent work to be seen, new talent every year, everything of a very high standard. 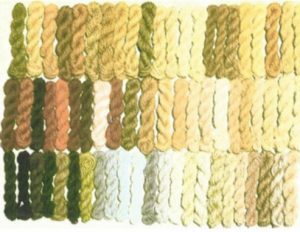 I shall have naturally dyed wools, British Sheep wools, garments, hats, felt making supplies and of course will be spinning this year on a new wheel from Krominski. 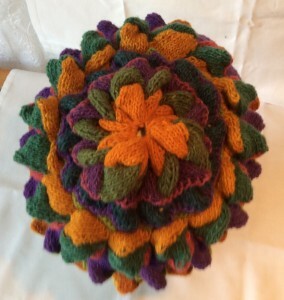 After a difficult winter looking after my seriously ill husband I am now back into the throes of producing work. 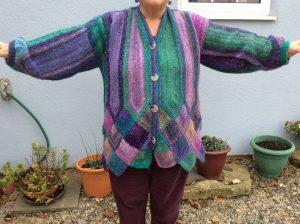 Unfortunately I shall only be doing 2 shows this year at the moment, Upton Cross in August and 3Bags Full Liskeard in October, due to caring for my husband. 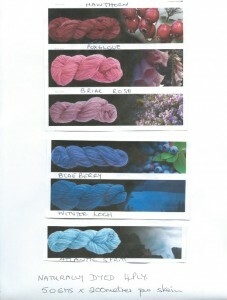 However I have been relaxing with spinning and knitting, photos to follow and have started natural dyeing now weather improving as biggest problem is getting yarn dry. 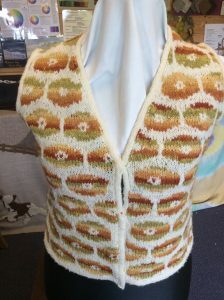 Waist coat is Handspun Shetland and Blue Face Leicester fleece, the dyed wool daffodils, onions, and dandelions. 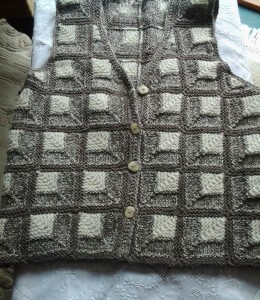 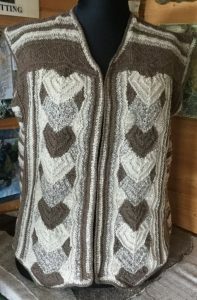 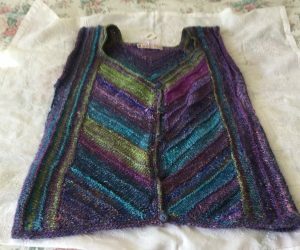 This garment is knitted diagonally using Handspun merino, cashmere and silk. 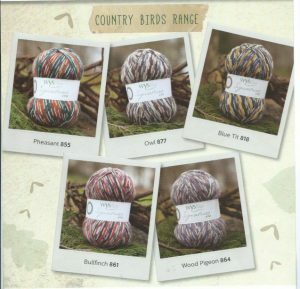 There is a new magazine British Fibre Crafts out well worth a look. 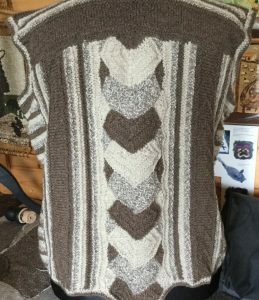 I have also been doing some pin loom weaving on a 10 cm frame [ 4 inches] as it was very easy to carry to the hospital my husband was in as well as my knitting. 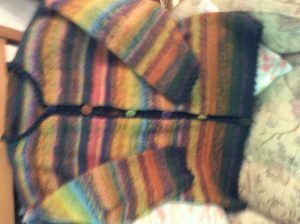 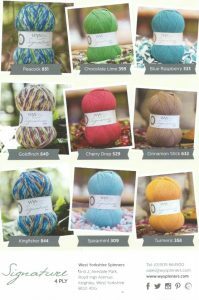 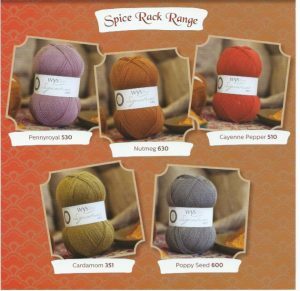 It is certainly true that fibre arts are stress relieving. 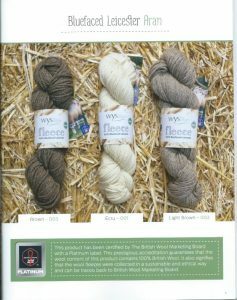 Its part of BRITISH WOOL WEEK, WELL WORTH A VISIT.